The cake is, indeed, a lie. Portal 3 is a dream that continues to break our hearts with every tiny spinoff and LEGO DLC pack. Portal 2 released in 2011. Seven years is how long we’ve waited for a Portal 3 announcement. And yet, Gabe Newell has moved on to bigger and better things. With Valve running the show behind Steam, the online game store most popular amongst PC gamers, there is literally no need for them to make a third title of Half-Life 2, Left for Dead 2, or Portal 2. Heck, even Gabe Newell himself said so himself in his Reddit AMA. “The number 3 must not be said.” Got it, so heartbreak it is. That sort of humor just isn’t in any other sort of video game series. Wheatley was fun, adorable, and slightly deranged, but he and the other cores held the series together (especially Space Core). Chell, ever the silent protagonist, offered up her own brand of humor in her sassy actions and Weighted Companion Cube melting ways. Her destruction of GLaDOS in Portal 1 and eventual companionship with GLaDOS’ potato form were revealing, interesting, and altogether very funny. We need more of all of this. The < em> games offered a unique escape from reality, bring us into a world unlike we’ve yet to experience since. 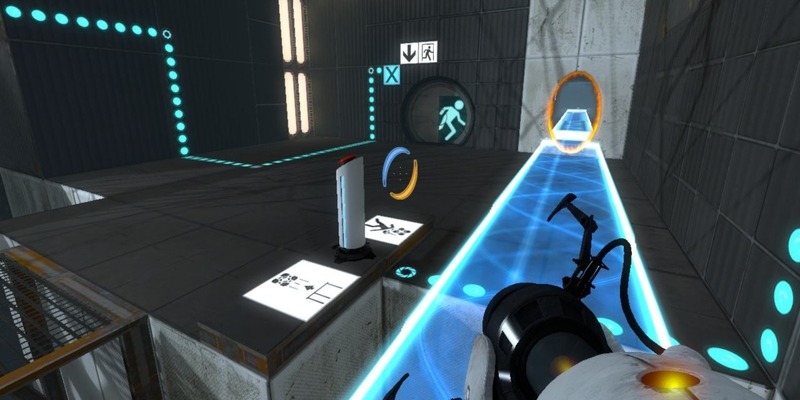 The improvements and enhancements in Portal 2 made thinking with portals oh-so-fun. From the game’s cinematic opening escape sequence, to the newly added bounce and slide goos, there seemed like no limit to the fun Portal 2 was going to offer us. The new co-op mode proved to be as wonderfully frustrating as one would expect, but that was all natural in the progression of our relationship with GLaDOS. The Rat Man side story came with intrigue and mystery, along with the connections to the Half-Life Black Mesa universe. Never before have I felt so emotionally attached to a weighted cube of metal. Twice. Where did all of this world building go? Apparently, down the incinerator hole with the Weighted Companion Cube. Never before had we seen such a unique approach to gaming as the “now you’re thinking with portals” puzzles. The games went pretty ham into the concept, offering challenge modes such as time attack and portal limitations. The Portal series had so, so much potential. The ways it opened our minds forever changed our gaming experiences. 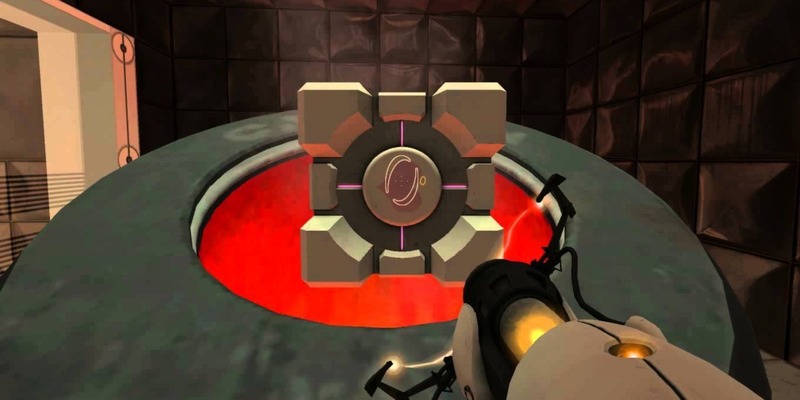 Until Portal 3, always, always assume that the cake is a lie. The definition of The Turing Test is the manner of discerning whether a given machine can think for itself. If that doesn’t describe the Portal series’ GLaDOS, I don’t know what does. The Turing Test feels like a spiritual successor to the Portal series, with the protagonist using an energy gun to solve puzzles in a desolate environment in both games. The robots are just as intelligent as those in Portal, and the overall vibe is very Portal-like. If Chell had a long lost sister, then The Turing Test‘s Ava would be her. The Black Mesa group present in both Portal and Half-Life ties together the mythos of the series. At the end of Portal 2, Chell escapes from Aperture Science into the overworld for Half-Life. The Half-Life world is somewhat darker than Portal‘s, although GLaDOS represents some of the murderous feelings you’ll experience in playing Half-Life. Be warned, though. This is yet another series waiting for a third title, much like Portal 3, that of which will likely never see the light of day. Bridge Constructor Portal plays like a demo using the Portal franchise. 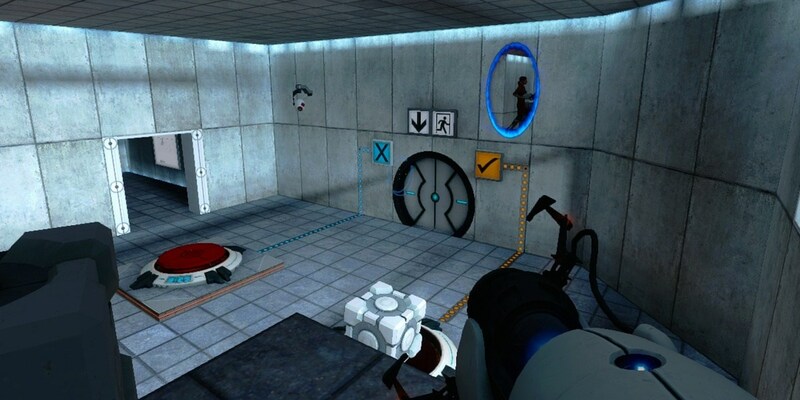 It is somewhat of a brain teaser, but it’s still only a small taste of what we’d all want Portal 3 to be. The game requires you to guide test cars through matching portals, with the end goal of shooting them down through the receiving door. GLaDOS has a lot of funny lines in the trailer above, but hearing her quips in a side game only leads to inevitable heartbreak that this isn’t Portal 3. This free Steam VR demo is a fun taste of more of what Portal 3 would feel like. It’s a somewhat simple and quick taste, but still a taste. Once again, the voice actress for GLaDOS returns, recognizing “You,” meaning Chell once again found her way into the Aperture Science laboratories after her escape at the end of Portal 2. The worst part of this demo is the teaser at the end of it. You fix up the co-op robot from Portal 2, and a testing arena opens up. You can see the buttons, the cubes, and the defining white tile, all before giant spiked panels come crashing down on it all. This is quite possibly the worst Portal 3 tease to ever exist.